Looking for work, or walking off the job? 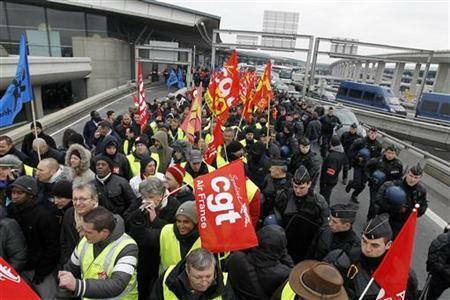 Besides the record-breaking cold temperatures, the big news this week in France is the grève — the strike — at Air France. Essentially a “strike about the right to strike,” it was called by the unions representing Air France’s pilots, cabin crews, and ground crews to protest legislation that would impact their right to walk off the job. Now, you should know up front that workers’ rights are a big deal in France: the 35-hour workweek, generous unemployment benefits, and strong union representation are ingrained in the national consciousness here. As a matter of fact, the right to strike (“le droit de grève“) is actually enshrined in the French Constitution of 1946. Nevertheless, since 2008, railway and bus employees have been subject to a regulation to ensure “the continuity of public service” in ground transportation by requiring 48-hour notice of the intent to strike and the provision of “minimum service” during the strike. Last month, the Assemblée Nationale passed legislation expanding this regulation to include air travel as well, and the Senate is expected to take it up later this month. That, in a nutshell, is why the departures board at Charles-de-Gaulle was lit up in red today. The French do indeed have an international reputation for going on strike. 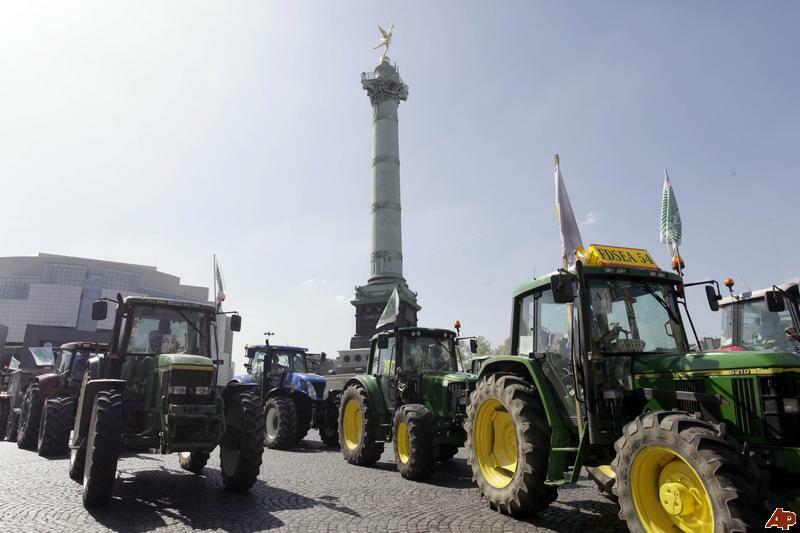 Take, for example, the events of May 1968, the largest general strike in world history, involving over 11,000,000 workers; the 1995 public sector strikes, paralyzing the transportation infrastructure for two whole months; and the 2010 farmers’ strike, memorable for all those tractors driving around the streets of Paris. It’s an impressive résumé. While those few examples are just from the last half century, the grève has a long history in France. The right to strike was instituted in 1864, twenty years before the right to unionize. 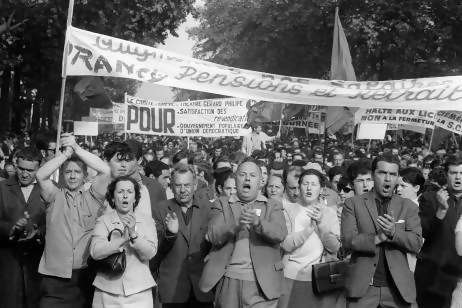 As a result, French workers learned to be combattive for their rights a whole generation before they had the right to organize into groups and do it en masse. French historian Stéphane Sirot says this explains why, in France, you show your strength by striking before you negotiate, as opposed to striking after the negotiations break down. It’s historic. It’s tradition. So, the French are experts at it, but why do they call it a “grève“? Grève literally means a sandy or gravelly riverbank or beach, after all, and that doesn’t sound very revolutionary. As it turns out, the use of “grève” for a work stoppage is the result of geography, economics, and habit. So there you have it, dear readers: in just one post, the story of what’s happening this week at Charles-de-Gaulle, why that kind of thing happens all the time in France, and why the French expression for walking off the job used to mean looking for one. February 9 postscript — In a nice lesson for Alanis Morissette about situational irony, Jean-Luc Mélenchon, the leader of the Front de Gauche, wanted to be at Charles-de-Gaulle today to support the Air France strike, but he couldn’t get back to Paris in time because … wait for it … his flight was canceled. ← I’ll have a Martini, s’il vous plaît. Whoa nelly!!! What an INTERESTING history. WHERE WERE MY RIGHTS when I worked for my AIRLINE?!?! Oh, THat’s right, – we tried to get RID of the UNION !!!! Maybe that’s why I’m in France – today?!?! Thanks for a very informative history of the word “GREVE” (Accent over the E Which I haven’t discovered how to find yet on my Mac) – – and what it all really means to the French and to the workers. I LOVED this, as did my hubby. Hey Marti, I’m glad you liked this. I was thinking about you (as a former US Airways employee) as I wrote it. I was sure you’d find it interesting. P.S.—To make the accents on your Mac, you have to hold down the “option” key and press various other keys at the same time to get the accent, then release and press the letter you want the accent on. For example: press “option”+”~`” key in the upper left corner, release, then press the vowel you want (“e” or “a”). That will give you an “è” or an “à”. It’s the same with the other accents: “option”+”e” for the accent aigu (“option”+”e”, then release, then press “e” and you’ll get “é”), “option”+”i” for the circonflexe; “option”+”u” for the treima. The easiest is the ç, though. You just press “option”+”c” and it’s automatic! Oh, and if you want to be REALLY fancy and use the œ (as in sœur), press “option”+”q”. Also automatic! That’s a coincidence! I used to work for US Airways, too, as an FA – based in Boston. (The AFA was useless.) For the last 8 years, I worked for a small Irish airline. We weren’t allowed to unionise…company wouldn’t recognise the unions. 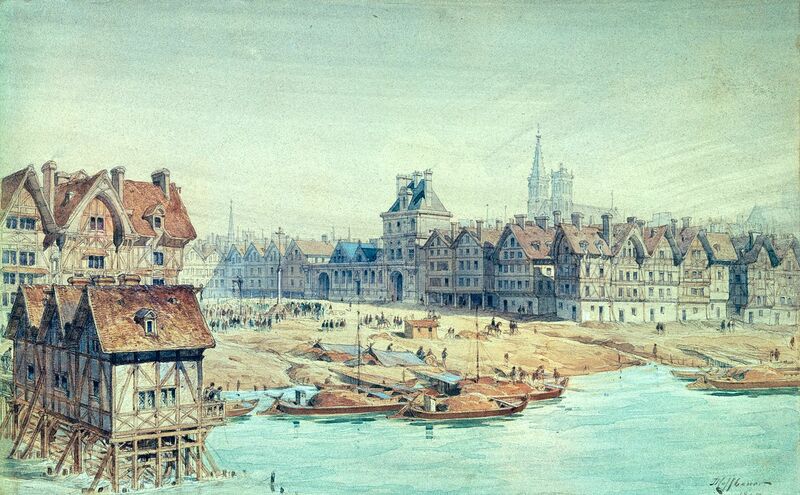 Excellent and very informative post – thanks! AFA truly useless – a resounding yes – as many F/A’s would tell me this at the ticket counter (in whispers). How cool that you went to an Irish airline. Are you still there? I was a FA for a small feeder carrier for UA/US/AA and they spun off another carrier with NO union called “Go JET” that just fed UA. Stupid though, because the other feeder still had union in name only. Michael! Thanks for the accent help – have written it all down and can’t wait to use!! Thanks Nadia! Luckily for me, I have no travel planned until April. Whew! Merci de m’en avoir fait part… De l’ironie pure, trop drôle! No, my little Irish airline decided to pull out of Galway Base, where I was the “cabin crew” manager, at the end of October. I am unemployed!!! Aaargghhh. And there are no jobs for middle aged people in Ireland (or many others of any age, for that matter!) Oh, the trials and travails of the airline industry. Glad you got out. What are you doing now? We are trying to move to France!